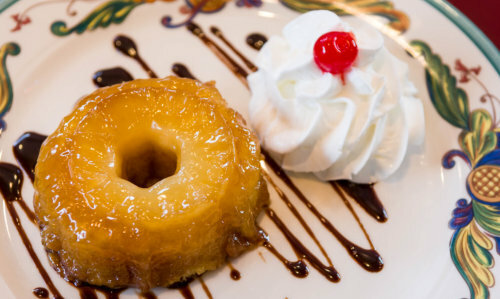 Pineapple Upside-Down Cake $6.95 An Old Fashioned Dessert With A Buttery Cake, A Sweet Pineapple Ring And A Creamy Brown Sugar Sauce. 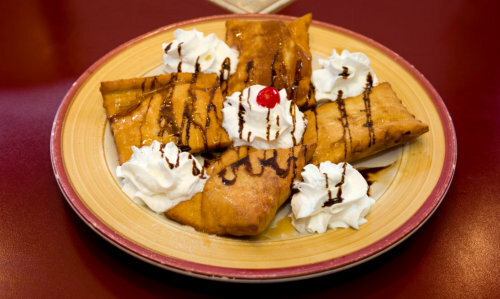 Deep Fried Ice Cream $6.95 Ball Of Ice Cream Rolled With Corn Flakes And Deep Fried Toped With Sugar, Cinnamon, Honey And Whipped Cream Choice Of : Strawberry - Chocolate - Vanilla - Coconut Dulce de Leche Cheesecake $6.95 Chocolate Cake $6.95 Bunuelos $6.95 A Crunchy Crispy Mexican Pastry Dessert To Satisfy All Your Cravings At Once. Served With Honey , Cinnamon & Sugar. Flan $6.95 Our Own Homemade Mexican Custard Topped With Whipped Cream. Lemon Italian Cake $6.95 Pastel Tres Leches $6.95 Three Milk Cakes With Rich Flavors. 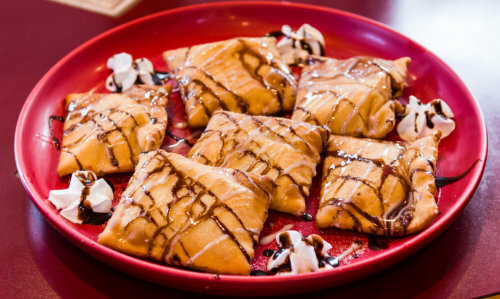 Churros $6.95 Deep Fried Dough Sticks Covered Cinnamon & Sugar.